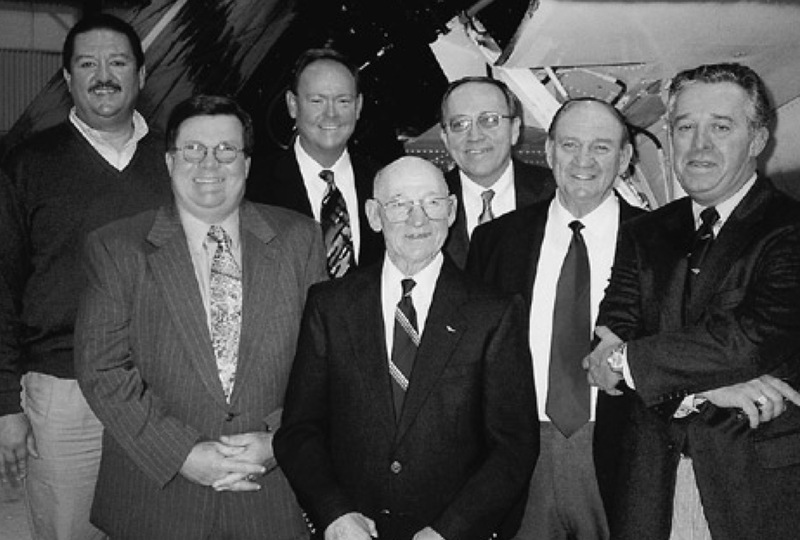 2000… Bob Mills, (center) whose family founded the Philadelphia Seaplane Base Museum was honored by the MAAF Museum for his many contributions to aviation history at a luncheon held in the hangar at Dallas Airmotive at Millville Airport. More than 300 people attended. Pictured here from left to right are: Andy Kondrach, MAAFM board chairman; Millville Mayor Jim Quinn; Hugh McElroy, vice president of Dallas Airmotive; Bob Mills; Russell Davis, MAAFM president; Lewis Finch, Millville Airport manager; and Rocco Tomanelli, airports director, Delaware River and Bay Authority. The Philadelphia Seaplane Base Museum’s history and artifacts span the very beginnings of flight. There is a strong focus on the history of the seaplane during WWI and WWII, as well as its continued significance throughout America’s aviation history both military and private — up to the present day. Bob Mills gives some history of the Seaplanes and their use during WWI. This 9-minute video documents the launch of a seaplane. Bob Mills from the Philadelphia Seaplane Museum details the launch, along with a bit of history of seaplanes.